'The Mersey Sound is an attempt to introduce contemporary poetry to the general reader by publishing representative work by each of three modern poets in a single volume, in each case the selection has been made to illustrate the poet's characteristics in style and form'. With this modest brief, The Mersey Sound was conceived and first published in 1967. 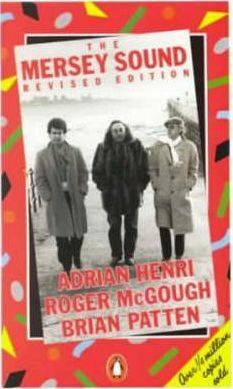 An anthology which features Roger McGough's work, alongside that of Brian Patten and Adrian Henri (The Liverpool Poets), it went on to sell over half a million copies and to become the bestselling poetry anthology of all time. Irreverent, sardonic, funny and sad, these are the poems that echo the mood of the sixties. A selection of the early work of three Liverpool poets who brought poetry down from the dusty shelf and onto the street. Selected Poems. His verse for children includes Gargling with Jelly, Juggling with Gerbils, and Thawing Frozen Frogs. Brian Patten is a popular performer of his work, and he has also written children's plays as well as editing The Puffin Book of Modern Children's Verse and The Puffin Book of Utterly Brilliant Poetry.